sailboat. : Would You Like to Keep in Touch? Hello, would you like to stay in touch? With Google Reader (and potentially ultimately Google Friend Connect too) soon to be retired you may be thinking about switching to another method of keeping up with your favourite blogs & deciding which would suit you best. It would mean the absolute world if you would like to subscribe to Sailboat through one of the following - thank you! Bloglovin' is my absolute favourite method of keeping up with my favourite blogs because it's super simple and user friendly. It lets you know when the blogs you're following have new posts you haven't read yet & you can also explore the popular pages to perhaps discover a few new reads! If you want to switch to Bloglovin' you can quickly & easily import all of the blogs you already follow via Google by clicking here which is much less hassle than having to search one by one! 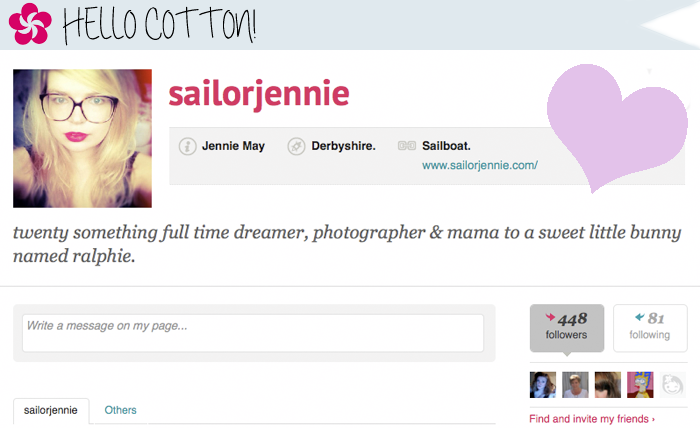 HelloCotton is another option with a user friendly interface and, well, the splashes of hot pink throughout the site is undeniably pretty! I've found some of my all time favourite blogs through HelloCotton, there are particular categories to explore if you're looking for some new reads and the home page ensures everything you need is within easy reach. I hope I'll see you over on Bloglovin' or HelloCotton sometime very soon! Thanks very much for the Bloglovin link the prospect of adding each of the blogs I follow individually didn't thrill me at all. 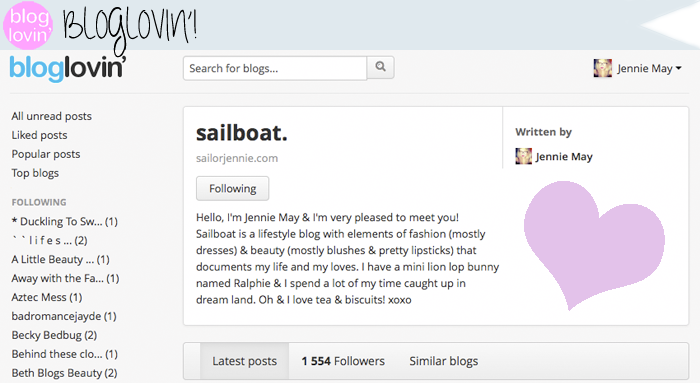 I've been on bloglovin for a while but don't used it much, I guess I will be now! I have added you to my list and look forward to you posts. I really like Hello Cotton - they have a great platform and Ive found so many new blogs to read over there. oh no! it sux google reader is going away :/ sure i'm going to follow you on bloglovin. To be honest, I am really not too fussed with GFC going, as I read nearly all my blogs on Bloglovin' or by having that blog as a bookmark on my laptop. But one thing I guess I'll miss is being able to see follower numbers. I know this can be seen on Bloglovin' too but I guess GFC follower number always felt more, well, official! A few things I have learnt lately. GIVEAWAY: Lomography Diana Mini & Flash Package! A Sweet Gift: Carly Watts Illustration! GlossyBox March 2013: Get City Chic. Get Ready With Me: Dewy Skin & Pink Lips.